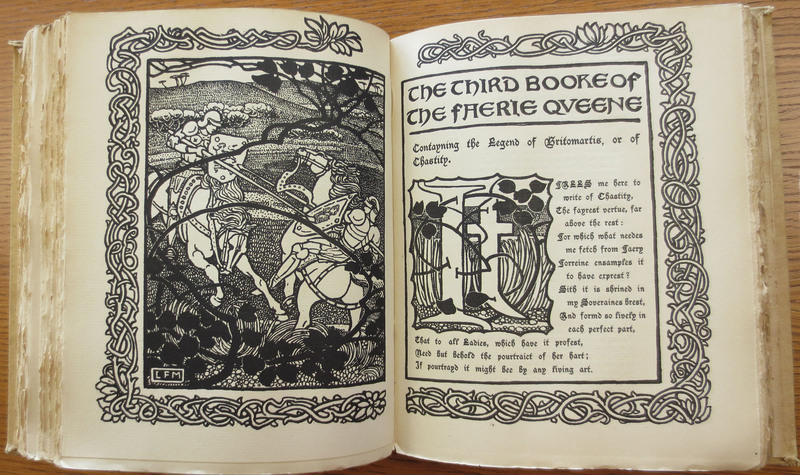 The Faerie Queene by Edmund Spenser Pictured and Decorated by Louis Fairfax-Muckley. London: J.M. Dent, 1897. 2 Volumes. This late nineteenth century edition draws its style from the contemporary Pre-Rafealite movement. 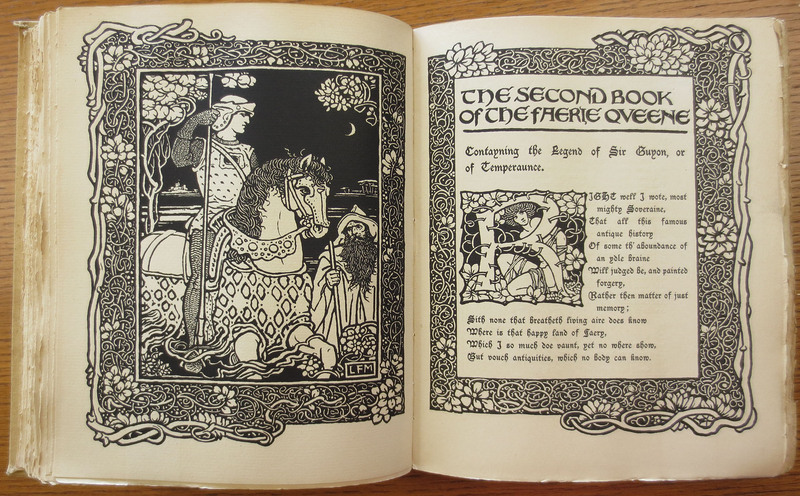 The production is influenced by the sentiment expressed in works by the circle around William Morris in Britain and N.C. Wyeth and Howard Pyle in America. J.M. Dent, a prolific English publisher, was dedicated to producing fine literature at affordable prices to reach a wide readership. Dent continues this publishing agenda today. This is a limited edition of 1250 copies.